After a short delay, it appears SEGA’s most recent 3D Classics – 3D Out Run and 3D Fantasy Zone – have now been rated by the Australian Classification Board. The arcade helicopter shooter, 3D Thunder Blade and the sequel to Fantasy Zone, Fantasy Zone II, have also been classified. 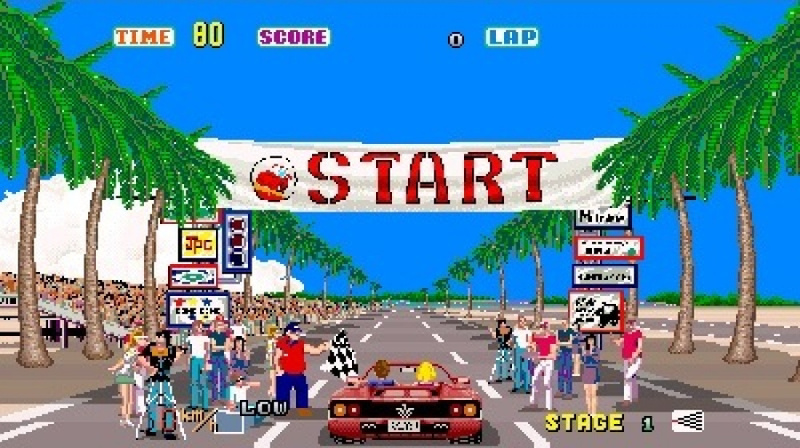 Out Run and the original Fantasy Zone were originally expected to launch alongside the wider PAL releases, but never made an appearance locally to Aussie fans’ dismay. SEGA never revealed why the anticipated titles were delayed, but these ACB ratings at the end of last week are enough evidence to confirm that these games are in fact coming to the Australian 3DS eShop in the near future. Let us know in the comments if you’re excited for any of these M2 developed 3D Classics. fantasy zone 2 will be awesome! we better get the sales on the older ones like EU got already. Don't forget about us Kiwis! I was very distressed to see Out Run and Fantasy Zone hadn't made it to the eShop last week - great news! Waiting for the games is the hard part, Letting Sega take time to make quality conversions is the only reason to wait. Give us Bare Knuckle 2 already! Still want the Shining in the darkness and Shining Force 1 & 2. I'm very pleased to hear this. It's always disappointing to read the weekly eshop update list and then discover that Australia isn't getting a bunch of it. I can't say these games are on the top of my list to buy, but they are most definately welcome. Gotta pray! pray! play! that they make a 3D Ristar! Cmon Sega get on the Wii U already!! !